An unusual and rare 12 inch Philips Blackbird Globe circa 1968. 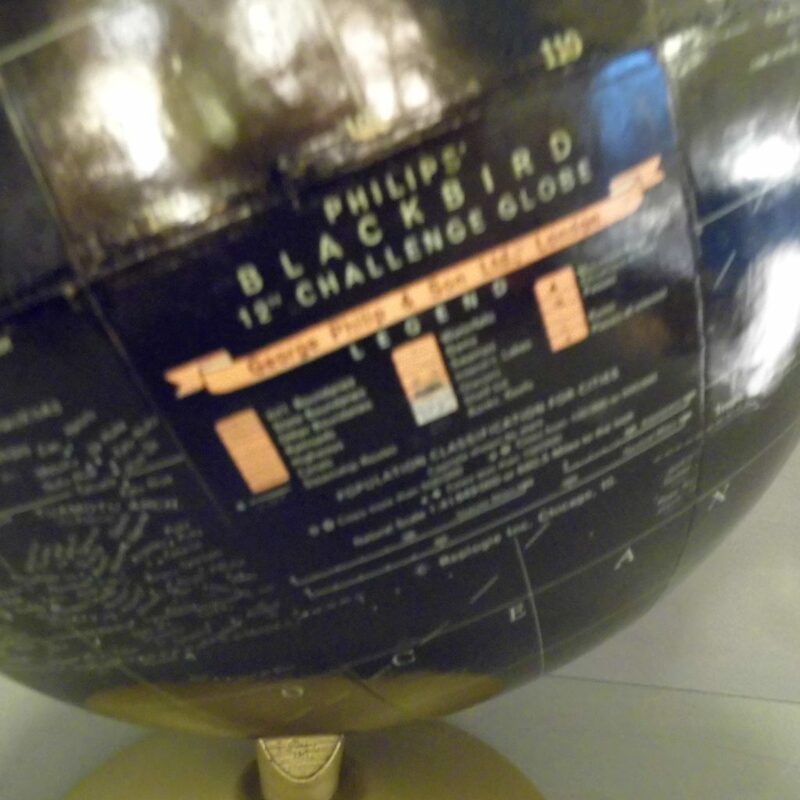 These Blackbird Challenge globes were only produced for a few years in the 1960s. 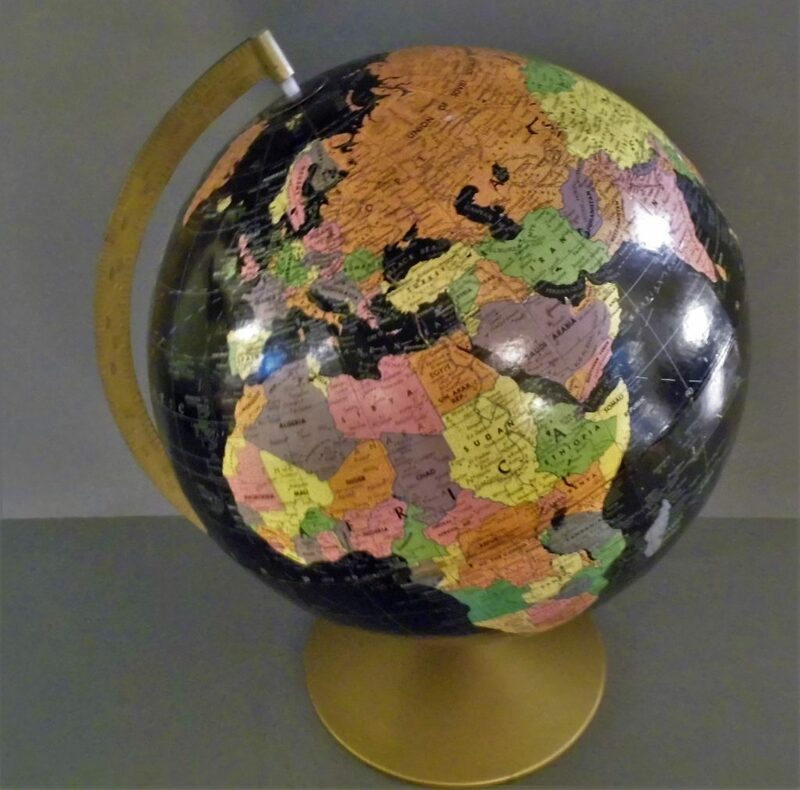 The black background and vivid coloured countries really stand out and with with the Mid Century styled matt gold base make this a really distinctive piece. 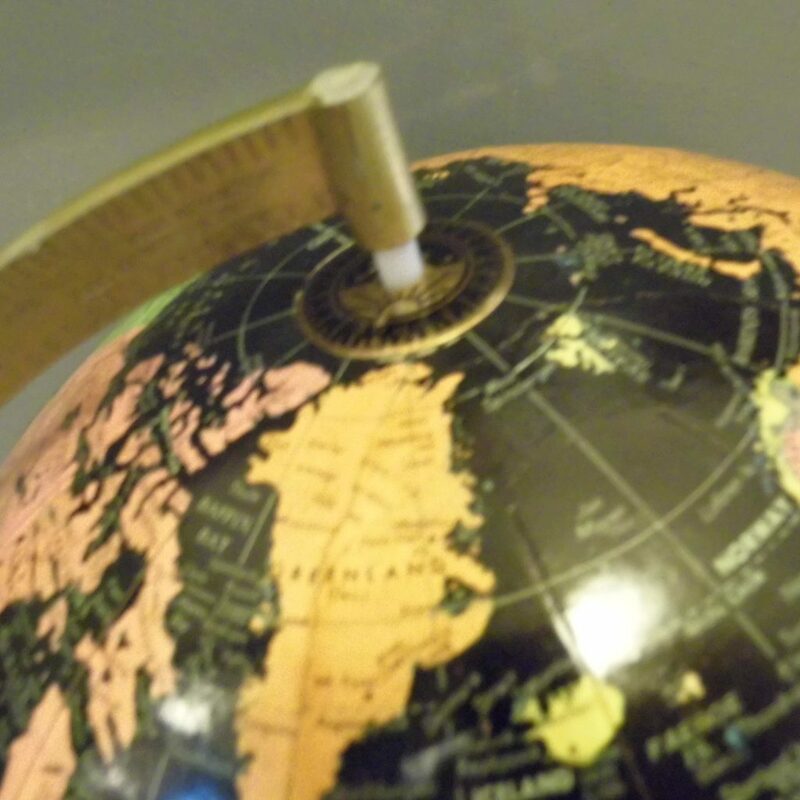 This globe has had some restoration around the centre join, where this model nearly always splits. It is completely secure and only shows on close inspection, otherwise it is in good original condition.